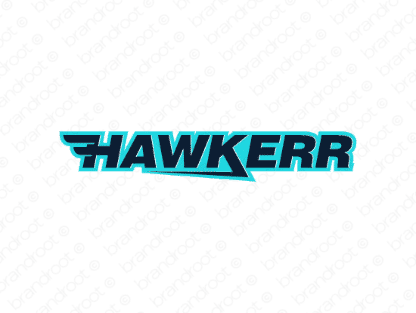 Brand hawkerr is for sale on Brandroot.com! An energetic riff on the word "hawker" that makes reference to skill and expertise in sales and entrepreneurship. Hawkerr is confident and bold, a consummate match for marketing agencies or industry-leading sales analysts and strategists. You will have full ownership and rights to Hawkerr.com. One of our professional Brandroot representatives will contact you and walk you through the entire transfer process.